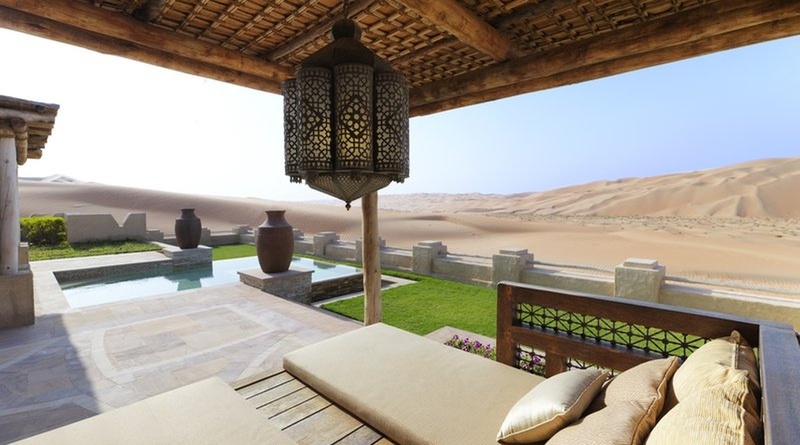 Guests seeking a truly bespoke getaway and seclusion will create lasting memories at this unique Arabian retreat. With a landscape, best described as mystical and from story books, explore the wonder of the majestic desert dunes by camel, experience the adrenalin rush of dune bashing by 4x4 or awaken early morning for a sunrise desert walk and learn how to make the valley beneath come alive with the sounds of the dunes singing. Take time to truly relax. Soak in a sublime rose scented bath to your favourite melodies or float in your private pool admiring the views. The choice is yours. Decadent Arabian décor, rich fabrics and local artefacts have a sense of place in this secluded fortress palace and play homage to one of the world’s ancient cultures, where luxury blends with landscape. Personalised resort excursions complement dining experiences created to delight the most adventurous palates and discerning tastes, while the spa provides a sanctuary for relaxation and revitalization, that embodies ancient spa rituals. The Royal Pavilion Villas have been designed with rich, authentic Arabian décor and feature 1 bedroom with a king size bed, a separate living room and dining area, an oversized bathtub, rain shower and complimentary WiFi. The luxury continues to the secluded outdoor terrace, with a private plunge pool, shaded daybeds and al fresco dining area. To complete the luxurious experience, guests of the Royal Pavilion Villas by Qasr Al Sarab can enjoy personal service from our Villa hosts.